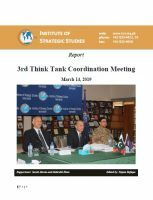 Our Publications, studies and analyses of Strategic and allied problems. 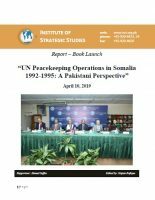 Report - Book Launch on "UN Peacekeeping Operations in Somalia 1992-1995: A Pakistani Perspective"
Issue Brief on "Pakistan's Economic Outreach to Africa: Mapping Potential Products"
Issue Brief on "Recent Threats to Strategic Stability in South Asia"
Tuesday Dialogue on "Managing Relations with India - From Post -Pulwama to Lok Sabha Elections"
Report – In-House Meeting "Nepali Media Delegation"
Issue Brief on "UK’S New Immigration Bill: Clamping Down on Migrants"
Report – Roundtable with "Graduate Students & Alumni from Harvard Kennedy School of Government"
Issue Brief on "Crisis in Yemen: An Assessment"
Issue Brief on "JCPOA: Updates and Development"
Report - Book Launch on “Rising Hindutva and Its Impact on the Region"
Tuesday Dialogue on "Pakistan’s Relations with Gulf Countries"
Issue Brief on "Role of Women in UN Peacekeeping"
Issue Brief on "Pulwama and Its Aftermath: India on Dangerous War Path"
Issue Brief on "Kartarpur Corridor: A Hope for Peace"
Issue Brief on "The Afghan Peace Process and The Role of Moscow"
Report – In-house meeting "Delegation from Qatar"
Issue Brief on "War in Syria: The Final Push Against the Islamic State"
Issue Brief on "The Brewing US-Russia Nuclear Arms Race: An Assessment"
Tuesday Dialogue on "Pakistan-Afghanistan Relations"
Islamabad Paper - "Islamic State Khorasan Province (ISKP) in Afghanistan - An Assessment"
Issue Brief on "US Drawdown in Afghanistan and India's Reaction"
Report – Public Talk on "Role and Relevance of United Nations in the Contemporary Global Order"
Issue Brief on "National Action Plan: Achievements and Limitations"
Issue Brief on "The Future of Brexit"
Issue Brief on "Yellow Vest Movement Explained"
Issue Brief on "UNCTAD Investment Report 2018: Investment Trends"
Issue Brief on "Implications of US Sanctions on Iran"
Issue Brief on "US Withdrawal from The Inf Treaty: Implications for Global Strategic Stability"
Report – Public Talk on "Human Rights Violations in Indian Occupied Kashmir"
Report – Public Talk on "Kazakhstan-Pakistan Relations: Priorities of Kazakh Foreign Policy"
Report – Public Talk on "Implementation of TAPI Pipeline"
Report - In-House Meeting with "Egyptian Media Delegation"
Report – Seminar on "Pakistan, Central Asia and CPEC: A Vision for Improved Connectivity"
Report - In-House Meeting with "Media Delegation from Nepal"
Issue Brief on "The Moscow Format: Searching for Peace in Afghanistan - Yet Again"
Issue Brief on "Stability of Yuan Amid China-US Trade Tensions"
Report - In-House Meeting "UK Media Delegation"
Issue Brief on "Indo - US 2 + 2 Dialogue and Larger Indo-Pacific Cooperation"
Issue Brief on "Growing Chinese FDI in Europe"
Issue Brief on "Suggestions for Boosting Pakistan's Exports to China"
Issue Brief on "Syria: Liberating Idlib"
Issue Brief on "Europe’s New Copyright Law: An Inflection Point"
Issue Brief o "New Africa-Europe Alliance to Counter China"
Report – Public Talk on "Refugee Situation: Contextualizing the Role of Pakistan and UNHCR"
Issue Brief on "UNRWA: US Cut in Funding Leaves Palestinian Refugees in a Lurch"
Report - Book Launch on "Brokering Peace in Nuclear Environments: US Crisis Management in South Asia"
Report - In-House Meeting with "UAE Media Delegation"
Issue Brief on "The US-China Trade War 2018"
Issue Brief on "Assessment of US-Russia Arms Control Post Helsinki"
International Seminar Report on "India: A Pretentious Regional Power"
Issue Brief on "NATO Summit 2018"
Issue Brief on "Need For Reforming the Anti-Terrorism Act 1997 (ATA)"
Issue Brief on "US Mid-Term Elections 2018: The Race for Congress"
Issue Brief on "Donald Trump's "Indo-Pacific Strategy": Trilateral Pact on Infrastructure Initiative"
Issue Brief on "Yemen: Saudi Coalition Struggles to Retake Hodeidah Port"
Issue Brief on "Saudi Salwa Canal Project"
Islamabad Paper on "US and Evolving Strategic Shifts in the World Order: The Future of Diplomacy"
Islamabad Paper on "China-Pakistan Economic Corridor (CPEC) and the Emerging Maritime Security Environment"
Issue Brief on "Syria: Emerging US-Russian Consensus"
Issue Brief on "Ceasefire in Afghanistan: Peace Must Be Given a Chance"
Issue Brief on "Pakistan-US Relations: Need for a Measured Approach"
Issue Brief on "Malabar Exercise 2018: Implications for Pakistan"
Issue Brief on "FATF Grey List: Time for Pakistan to Take Bold Steps"
Report - In-House Meeting with "Thai Media Delegation"
Issue Brief on "Syria-Operation Manbij: A Complex Decision for US and Turkey"
Issue Brief on "National Action Plan: A Road to Peaceful Pakistan"
Issue Brief on "Modi’s Maritime Ambitions – Implications for Pakistan"
National Seminar Report on "Non-Traditional Security Challenges to Pakistan"
National Conference Report on "Maritime Economy and the Geopolitics of Indian Ocean Rim: Challenges for Pakistan"
Issue Brief on "Growing Indonesia-India Strategic Ties"
Issue Brief on "India-Nepal: Growing Linkages"
Issue Brief on "Examining the White Helmets in Syria"
Issue Brief on "US Withdrawal from JCPOA: A Provocative Standoff in Transatlantic Relations"
Issue Brief on "Japan’s New Ocean Policy"
Issue Brief on "Pakistan and International Assistance for Combating Terrorism"
Issue Brief on "Pakistan Wins Trade Dispute with EU at WTO"
Report - In-house meeting with "Chinese Delegation from CPPCC"
Issue Brief on "Pakistan-China Trade: Steps to Tackle Under-Invoicing"
Issue Brief on "African Union's Agenda 2063: A Blueprint for Rising Africa"
Issue Brief on "US Withdrawal from JCPOA: Impacts for Iran and the P5"
Issue Brief on "Yemen-UAE: Sparring Over Socotra"
Issue Brief on "Cross border terrorism in Central Asia: Lessons for SCO"
Issue Brief on "Syrian Crisis and The Ineffectiveness of the UN"
Issue Brief on "Germany: Between Two Competing Narratives"
Issue Brief on "The Upcoming Trump-Kim Summit: What to Expect?" 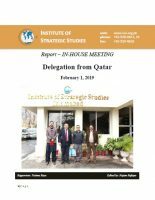 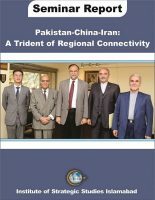 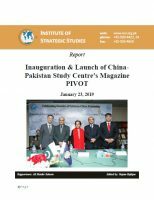 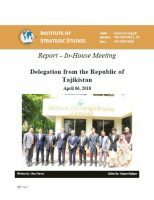 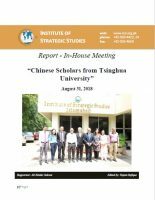 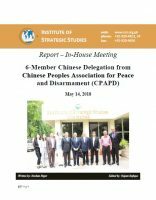 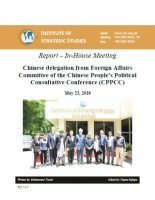 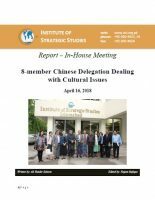 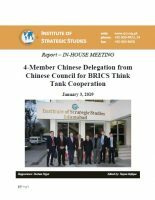 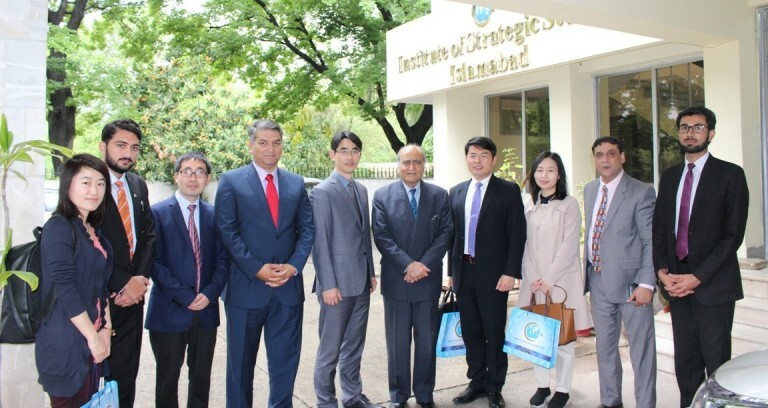 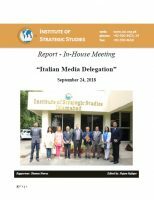 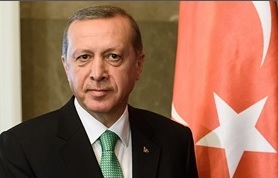 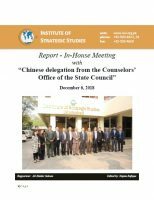 Issue Brief on "Iran Versus Israel: The Shadow War in Syria"
Issue Brief on "XI-Modi Meeting: Putting Differences Aside to Attain Common Goals"
Issue Brief on "Modi’s China Visit: Has the Ice Melted?" 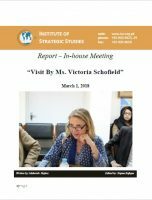 Issue Brief on "The Escalating Crisis in Syria"
Issue Brief on "Water Crisis in Cape Town: Bracing for 'Day Zero'"
Issue Brief on "EU’s Procrastination Over Turkey’s Membership"
Report – In-House Meeting "8-member Chinese Delegation Dealing with Cultural Issues"
Issue Brief on "Brexit: UK and EU Agree on Terms for Transition Period"
Issue Brief on "Crisis in the Maldives: The Beginning of an Indo-Chinese Chess Match"
Issue Brief on "Explicit Overtures: The Changing Face of Saudi-Israel Relations"
Issue Brief on "Progress on the Implementation of the European Agenda on Migration"
Issue Brief on "CPEC: Gwadar Port Becomes Operational for Container Vessels"
Issue Brief on "Japanese Investment in Africa: Abe's African Pivot"
Issue Brief on "TAPI: A Recipe for Greater Regional Cooperation"
Issue Brief on "Russia's New Anti Missile Defense Systems"
Issue Brief on "Prospects of Nuclear Energy in the Middle East: Current Status and Future Growth"
Issue Brief on "Indian Access to Chabahar and Duqm: Challenges for Pakistan"
Issue Brief on "2nd Kabul Process: Time for Taliban to Grasp the Moment"
Issue Brief on "Information Space: An Emerging India-Russia Strategic Partnership"
Seminar Report on "Pakistan-China-Iran: A Trident of Regional Connectivity"
Issue Brief on "EU’s Western Balkan’s Policy Put to Test"
Issue Brief on "US Nuclear Posture Review 2018: An Overview"
Issue Brief on "Munich Security Conference 2018: Middle East Perspectives"
Issue Brief on "The Migration Crises: UN Responses"
Issue Brief on "E-Governance in Pakistan: A Reality Check"
Issue Brief on "Yemen: A War Within a War"
Issue Brief on "Upsurge in Pakistan-Russia Economic Ties"
Issue Brief on "Sushma Swaraj’s Visit to Kathmandu: Renewed Hopes of Cementing New Alliances"
Issue Brief on "Pakistan-EU: Increasing Cooperation in Energy Sector"
Issue Brief on "Weather Modification 2025: Time to Start the Countdown"
Issue Brief on "Deconstructing Terror Financing in Pakistan"
Issue Brief on "The India-ASEAN Commemorative Summit and The Chinese Response"
Issue Brief on "The Emerging Sino-Japanese Detente"
Issue Brief on "Analyzing the Pandemonium in Kabul"
Issue Brief on "SAARC: Delhi’s Continued Marginalization Agenda"
Issue Brief on "Mike Pence's Trip to the Middle East: Cementing Alliances"
Issue Brief on "US Analyst Pushes Chabahar as Alternative for Supplies to Afghanistan"
Issue Brief on "Growing Sudan-Russia Relations and Prospective Strategic Implications in the Region"
Issue Brief on "Pakistan-Turkmenistan: Moving Ahead with Bilateral Relations"
Issue Brief on "Analyzing the Upward Trend in Pakistan’s Exports to EU"
Issue Brief on "Netanyahu's India Visit: Coming Out of the Closet"
Issue Brief on "Peace on Korean Peninsula: The Chinese Perspective"
Issue Brief on "The United Nations ‘World Economic Situation and Prospects 2018’"
Issue Brief on "Public Protests in Iran 2017-18: Rouhani’s Test or Triumph?" 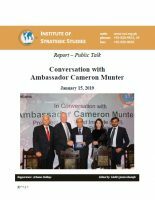 Issue Brief on "Peace Talks: The North Korean Perspective"
Issue Brief on "NATO-MOLDOVA: Developing New Areas of Collaboration"
Issue Brief on "A Thaw in North Korea and South Korea Relations"
Issue Brief on "Qatar-Iran Maritime Trade"
Report - In-House Meeting on "US National Security Strategy 2017"
Issue Brief on "Pakistan-Japan Ties: Moving Towards a Positive Trajectory"
Issue Brief on "Russia-India-China Trilateral Meeting: Generating a New Power Equation?" 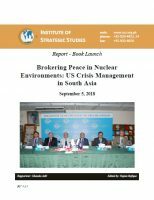 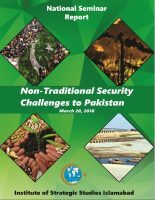 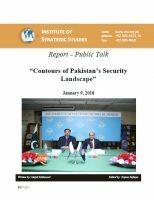 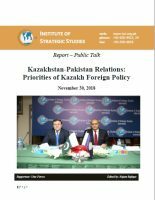 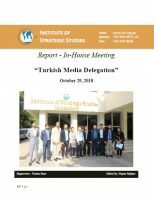 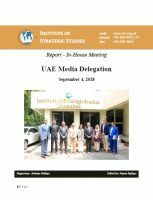 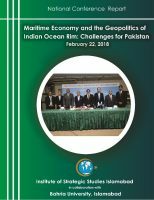 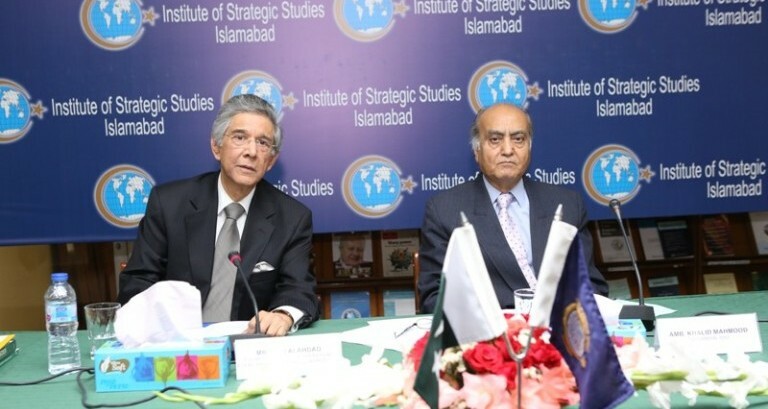 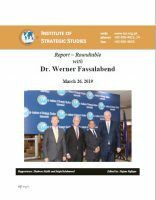 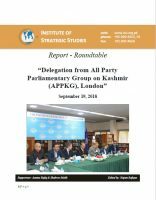 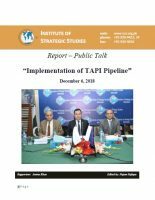 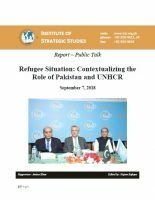 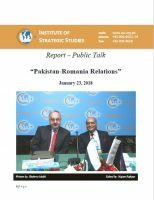 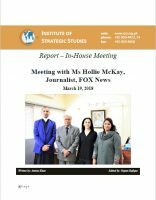 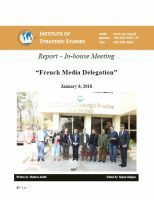 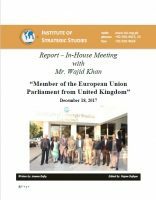 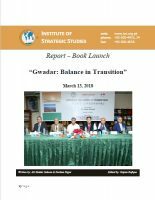 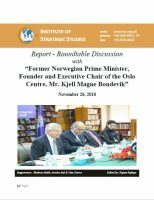 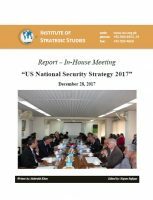 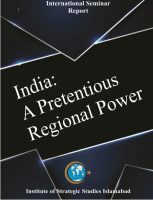 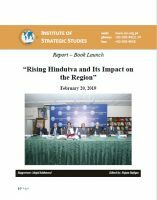 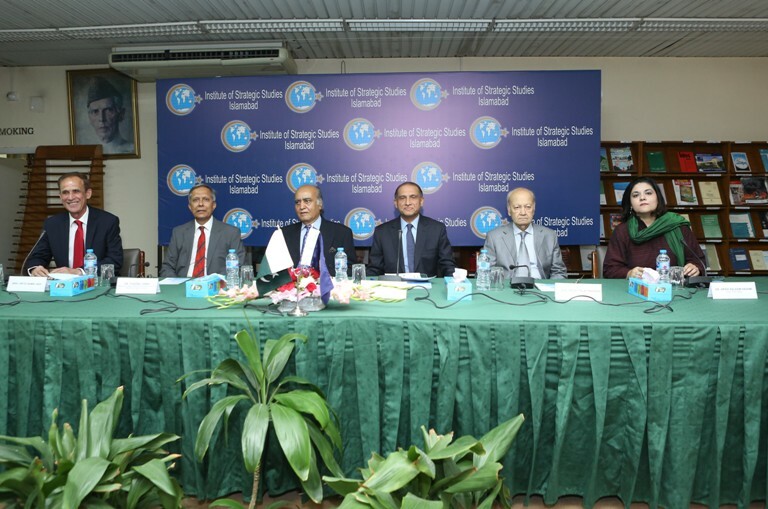 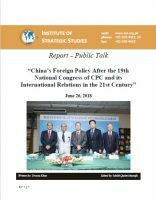 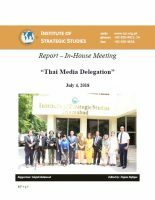 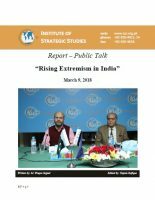 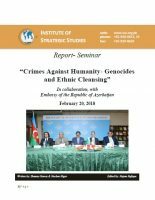 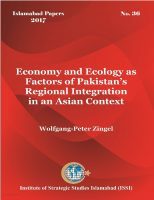 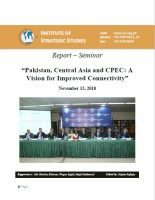 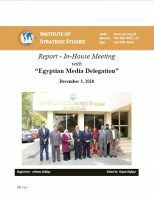 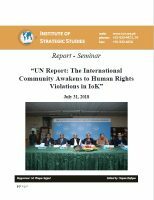 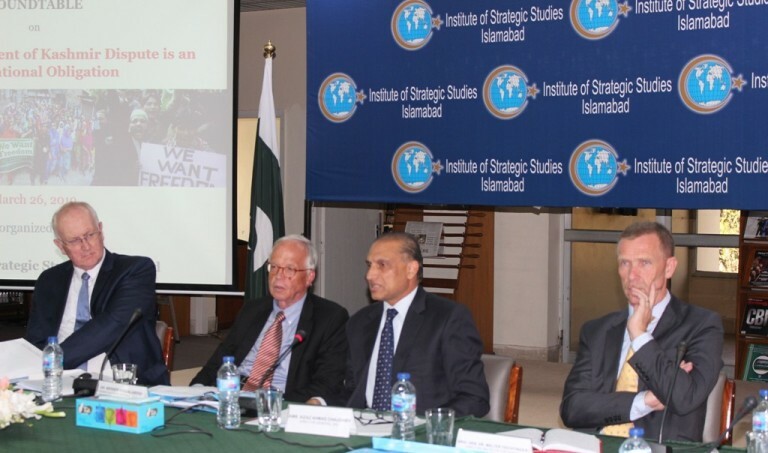 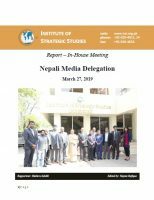 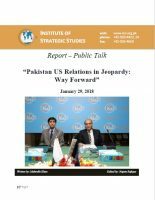 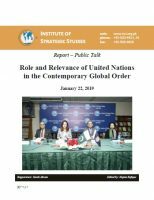 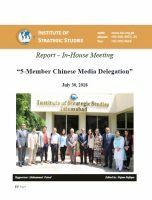 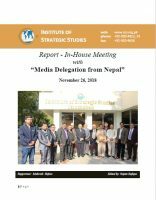 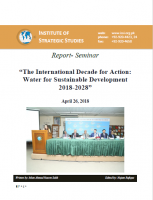 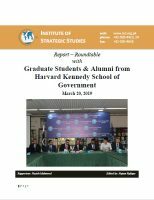 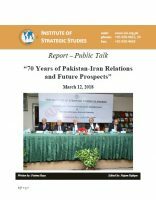 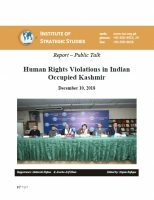 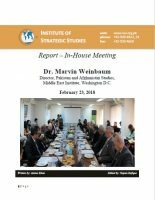 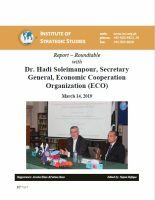 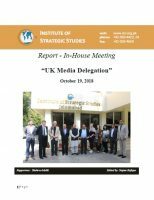 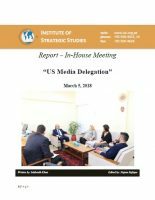 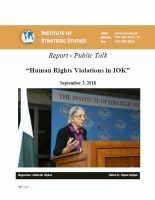 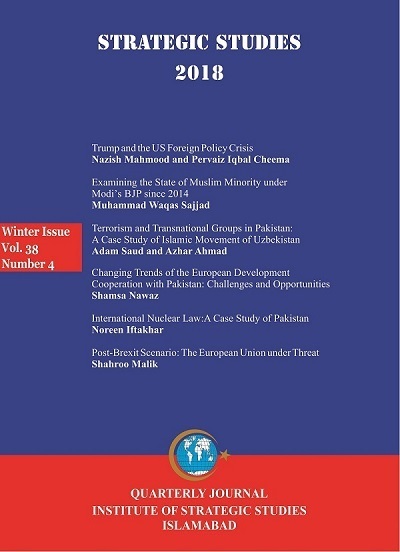 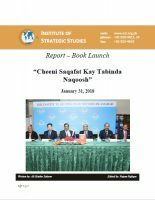 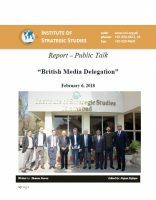 Issue Brief on "US National Security Strategy 2017"
Issue Brief on "Israel Develops Maritime Iron Dome"
Issue Brief on "Hambantota: Changing Hands"
Issue Brief on "The Chinese Dream of Digital Silk Road"
Issue Brief on "Gujarat State Elections December 2017: BJP Dominance Diminished"
"If we need to speak clearly, the Islamic world failed in the Jerusalem test."